Of all possible dilemmas, not knowing which book to pick up next has got to be up there with some of the better ones. It's like having to choose between pizza and pasta; they're both so good that there's really no wrong answer! There's nothing to complain about when there are too many incredible sounding books just sitting on a shelf waiting to be read really, is there? "On day one the Georgia Flu explodes on Earth and mortality rates are over 99%. By week two civilisation has crumbled. In year Twenty a band of actors and musicians called the Traveling Symphony move through territories performing concerts and Shakespeare to the settlements that have grown up there. Twenty years after the pandemic, life feels relatively safe until a new threat looms, threatening the hopeful world every survivor has tried to rebuild." After reading Last Night In Montreal I already know that Emily is an incredibly talented and very clever writer. I really admire authors who can pace a novel perfectly, giving just enough on each page without revealing too much too quickly. Post apocalyptic novels aren't typically books I usually gravitate towards, but the final line of the synopsis really captured my attention and I have the feeling that this story will give so much more than initial impressions suggest. "Thrilling, unique and deeply moving, this is a beautiful novel that asks questions about art and fame and about the relationships that sustain us through anything - even the end of the world." "One drowsy summer's day in 1984, teenage runaway Holly Sykes encounters a strange woman who offers a small kindness in exchange for 'asylum'. Decades will pass before Holly understands exactly what sort of asylum the woman was seeking..."
The thing that most intrigues me about this novel is that even after reading the full synopsis several times and a few non-spoilery book reviews, I still have absolutely NO idea what it's about or what to expect. And I love that! This will be my first David Mitchell novel, I'm incredibly curious and I have a feeling that I'm in for a real treat. 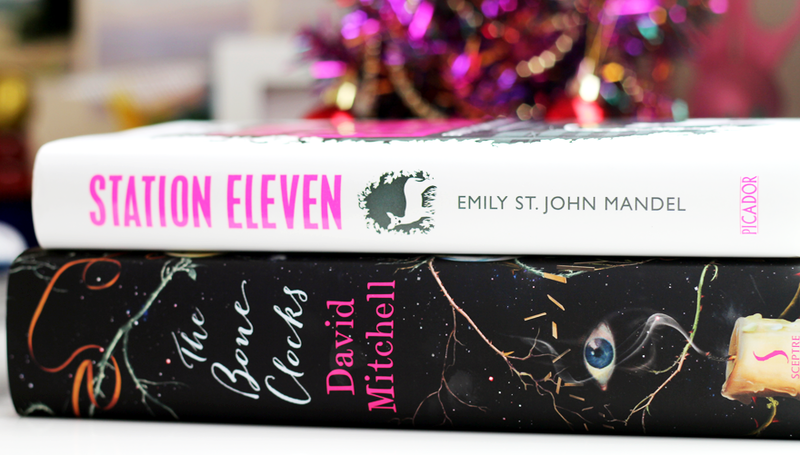 At the moment I think I'm leaning towards picking up Station Eleven first and leaving The Bone Clocks as a bit of a post-essay (that's due on the 18th and is proving to be pretty tricky) treat. 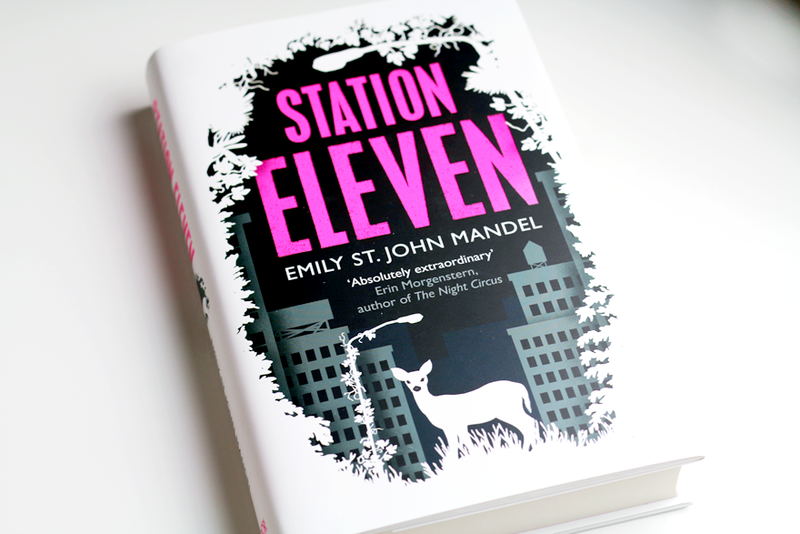 And I suppose that makes Station Eleven my pre-essay treat. Yes, I definitely have to bribe myself into essay writing and I'm totally okay with that! Which book would you choose to pick up first? I know they say do not judge a book by its cover, but what stunning covers. They both sound brilliant but I reckon Station Eleven! I'd recommend starting with Station Eleven - it is so good. I've got it on my kindle and I was reading it on my way to work this morning when I nearly tripped up the underground escalator. It's that gripping, you won't want to put it down. Even at great personal risk! 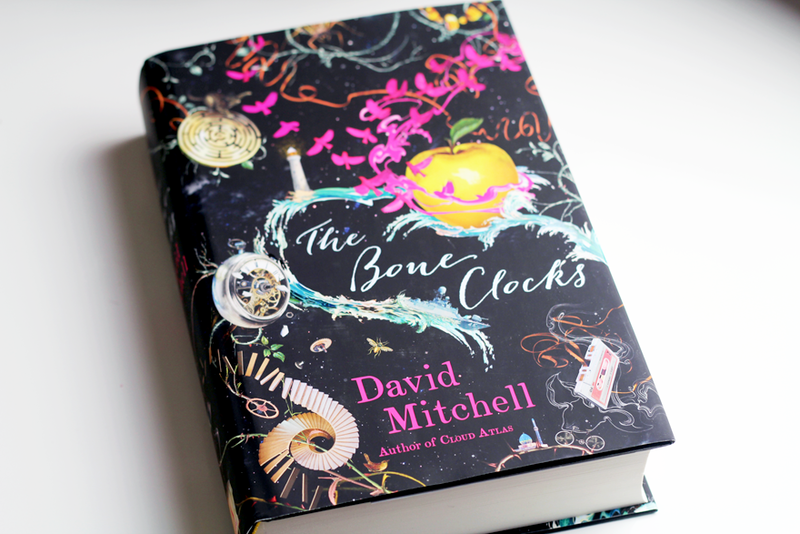 I'd be drawn towards The Bone Clocks, just because I absolutely loved Cloud Atlas and would be curious to read other work by David Mitchell. I've never really heard of Emily St. John Mandel (except on your blog! ), but this book sounds interesting as well.